Surely they couldn’t make a hit comedy out of this, right? Wrong. 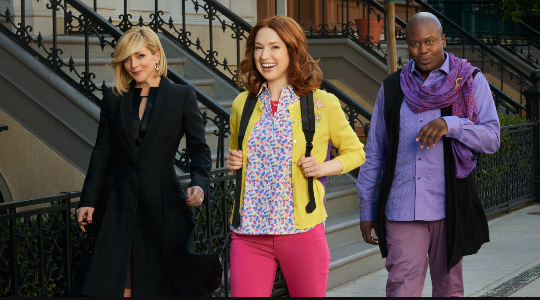 Here’s 6 reasons you need to start watching Unbreakable Kimmy Schmidt ASAP. It’s a mantra that I live my life by. 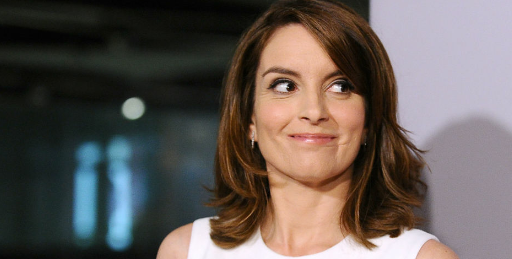 Tina’s been in the game for over 25 years, and she’s got some impressive awards under her belt, including; Outstanding Writing for a Variety, Music or Comedy Program Emmy; Gracie Allen Outstanding Female Lead; Television Critics Award for Individual Achievement in Comedy, and People’s Choice Award for Favorite Funny Female Star in 2009 amongst others. So when a sitcom is penned by Tina, you know it’s going to be good. Tina Fey wrote the part of Kimmy Schmidt especially for Ellie Kempster, and it’s easy to see why. You’ll probably recognise Ellie as the naive newlywed Becca from Bridesmaids, and she brings that bright, cheery naivety to Kimmy Schmidt and keeps it from tipping over into annoying territory. Instead of coming across like that irritatingly cheery colleague we all know who’s unnecessarily upbeat before 9am and before coffee, Kimmy’s upbeat spirit is endearing. Instead of using her experience as an excuse, she’s just trying her best to make it in a world that’s still new to her. When life gets her down, instead of moping (admit it, we’re all prone to it), she looks for the positive. She’s determined to not be the victim. 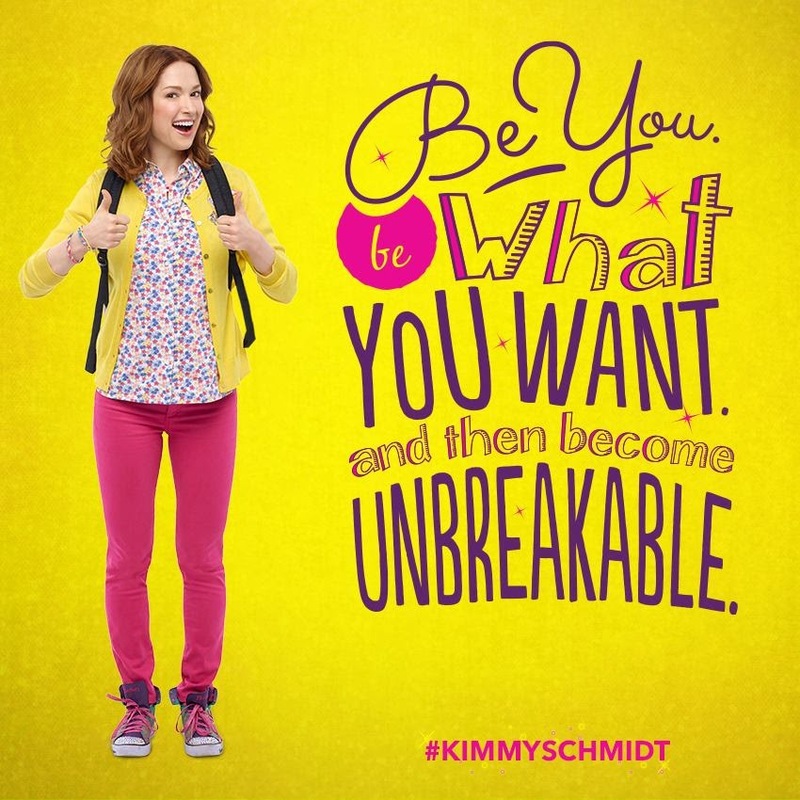 We could all stand to be a little bit more Kimmy. Jacqueline Voorhees embodies every rich-white-trophy-wife stereotype possible, yet the character still feels box-fresh. Jacqueline is achingly out-of-touch with the real world, and the parody is played to perfection. She’s desperate to fit in with her teenage stepdaughter, nonchalantly telling Kimmy the reason Xanthippe won’t listen to her is because “we’re basically the same age”. She’s obsessed with paleo, she first thinks Kimmy is a dog masseur, and when she finds out her husband is cheating on her, she can’t bear to end it and go back to being plain old Jacqueline White. She’s the complete opposite to Kimmy, proclaiming: “Kimmy what’s happening to me is the worst thing that’s happened to any woman ever”. She’s there to be a parody, to be laughed at, and boy do we laugh. So how much in common could we really have with a women stuck in an underground cult for years? Surprisingly, quite a lot. Kimmy’s struggle to adjust to noughties New York feels like the millennial’s difficulty with ‘adult life’. He’s camp, he’s sassy…and completely bonkers. He’s a queen of the highest order and the perfect sarcastic antidote to Kimmy’s unshakable cheeriness. Titus dreamt of starring in The Lion King on Broadway, but instead found himself handing out leaflets on the street in an Iron Man costume. Hardly a starring role. We can all relate, looking for our dream job but instead falling into something demeaning, menial and poorly-paid. It’s the epitome of the 21st century struggle to live your dream. Titus can’t even afford to continue renting alone – we’ve all been trapped in that cycle of living with weird housemates just to get by, right? No, just me? Kimmy’s 10 years spent in an underground cell not only makes her completely confused by the world around her, it gives her a unique perspective. She’s got no idea what a selfie is until Jacqueline teaches her, including how to pout and push up her cleavage. Xanthippe: Hey Kimmy, 1996 called. It wants its clothes back. She even manages to take down a cat-caller without realising it, making him think about the way he talks to women. Is there anything Kimmy doesn’t have a comeback for? There’s only one way to find out. 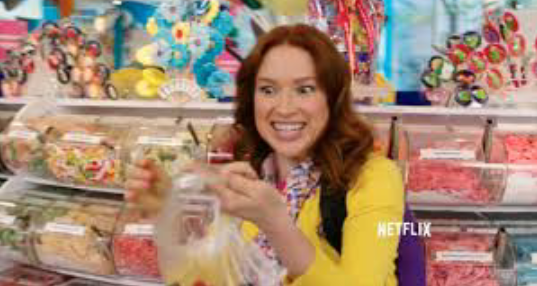 Unbreakable Kimmy Schmidt is on Netflix.